The Malaysia Cup, which has a history that dates back to 1921 (when it was known as the Malaya Cup), has never failed to produce a special kind of magic, with the final more often than not bringing the nation to a standstill. Tomorrow’s final is not going to be any different, but it could well be the ‘mother of all finals’ in the history of the competition. If previously a final between Selangor and Singapore created a sort of mania (Selangor have emerged champions 32 times and runner-up 15 times, while Singapore have been crowned 24 times and lost 19 times), this time around, Pahang and Johor Darul Takzim could give new meaning to the match. 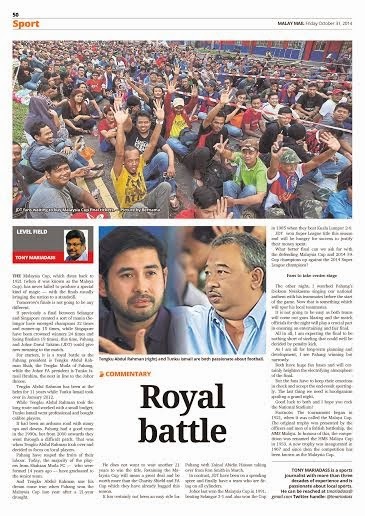 For starters, it is a royal battle as the Pahang president is Tengku Abdul Rahman Sultan Ahmad Shah, the Tengku Muda of Pahang, while Johor FA president is Tunku Mahkota Johor, Tunku Ismail Sultan Ibrahim. Tengku Abdul Rahman has been at the helm of Pahang FA for eleven years now, while Tunku Ismail is into his second year at Johor FA. Both men are very passionate about the game and have done immensely to uplift it in their respective states. While Tengku Abdul Rahman took the long development route and worked with a small budget, Tunku Ismail went professional, buying calibre players, but not overlooking development for the future. Tengku Abdul Rahman saw his dream come true when Pahang won the Malaysia Cup last year after a 21-year drought. It had been an arduous road for Tengku Abdul Rahman with many ups and downs. Pahang had a good team in the 1990s, but from 2000 onwards, they went through a difficult patch. That was when Tengku Abdul Rahman took the helm of Pahang FA and decided that he should focus more on local players. The Shahzan Muda Football Club was formed (14 years ago) to develop young talent and give them exposure through the FAM Cup. And Pahang have reaped the fruits of their labours. Today, the majority of the players from Shahzan have graduated to the senior team, although the youth team are still in existence and continue to produce players. Pahang are a low-budget team — they spend about a quarter of the highest spenders in the league. Tengku Abdul Rahman had said he does not want to wait another 21 years to win the Malaysia Cup and having qualified for their second Cup final is already an achievement. Pahang also have won the Charity Shield and FA Cup besides finishing fourth in the League this season. They won the Super League title in 2004 and the FA Cup in 2006 too. But retaining the Malaysia Cup will mean a great deal to Pahang and Tengku Abdul Rahman, as everyone knows that winning a trophy is easier than defending it. It has certainly not been an easy ride for Pahang with Zainal Abidin Hassan having to take over as chief coach from Dollah Salleh. In contrast, Johor DT over the two years have been going on a spending spree and through trial and error finally have a team that is firing on all cylinders. Johor last won the Malaysia Cup in 1991, beating Selangor 3-1, and are in a similar position as Pahang last year. They will definitely be hungry for success and to make all that money spent worth its while. Johor also won the Cup in 1985 when they beat Kuala Lumpur 2-0. Johor is also the Super League champion this year and a second trophy will surely be sweet. What better final can we ask for with the defending Malaysia Cup and 2014 FA Cup champion up against the 2014 Super League champion? The final will definitely be a clear case of a team development versus a team built in two years with millions of ringgit spent. Both teams have a huge fan base and that will certainly heighten the electrifying atmosphere of the final, while on the pitch some of the best players, local and foreign, will be on parade. But while the fans have been ever loyal to their teams, they have to keep their emotions in check and accept the end-result sportingly. The last thing we need is hooliganism spoiling a grand night. Both teams have a list of reasons why they should win the coveted Cup, but at the end of the day, the team who want it more will triumph. The other night on television, I saw Pahang’s Dickson Nwakaeme singing our national anthem with his teammates before the start of the game. Now that is something which will spur the local players in his team. It is not going to be an easy battle as both teams will come out with guns blazing and the match officials for the night will play a crucial part in ensuring an entertaining and fair final. All in all, I am expecting the final to be nothing short of sizzling that could well be decided by penalty kicks and end the next day (past midnight). As I am all for long-term planning and development, I see Pahang winning but very narrowly. Good luck both teams. Hope you rock the Bukit Jalil Stadium! Footnote: The tournament began in 1921, when it was called the Malaya Cup. The original trophy was presented by the officers and men of a British battleship, the HMS Malaya. In honour of this, the competition was renamed the HMS Malaya Cup in 1933. 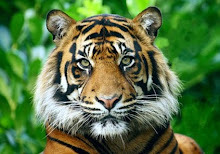 A new trophy was inaugurated in 1967, and since then the competition has been known as the Malaysia Cup. In an era where sportsmen and women have all facilities and opportunities to excel and still there is a dearth of quality athletes, Lt Com (Rtd) Karunakarer Selvaratnam’s achievements is an inspiring story. The 73-year-old former navy officer is a double international in cricket and athletics and that fact that he was exposed to both sports by chance and yet excelled is indeed remarkable. Karu as he is known in the sports circle hails from Batu Gajah, Perak, picked up cricket in Sri Lanka when he was ten-years-old and athletics as a 15-year-old. “My whole family (three boys and a girl) went to Sri Lanka in November 1951 during the school holidays to visit my ailing grandfather,” recalled Karu. “As it turned out my grandfather got better by the day and what was a holiday trip extended to three years. 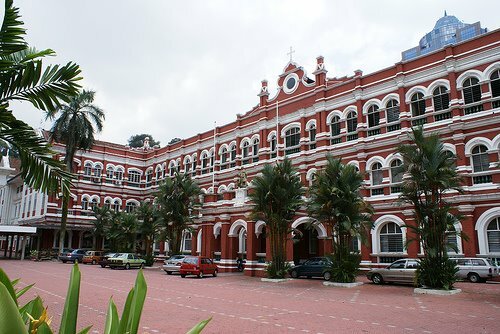 While my father returned to Malaya (then) because of his work a supervisor at Perak River Hydro Station, we stayed on and I continued my studies at St Anthony’s College in Candy. “It was here that I was introduced to cricket, a sports widely played in the country. Karu said that his father thought it was about time family returned home three years later and returned to continue his schooling in Anglo Chinese School, Ipoh. While he continued to play cricket and played for the State team as a schoolboy, he also played badminton and football. “But I gave up the other sports to concentrate on cricket,” said Karu who was named the Sportsboy of the year in 1958. It was in 1956 that Karu had his first state of running with no formal training. 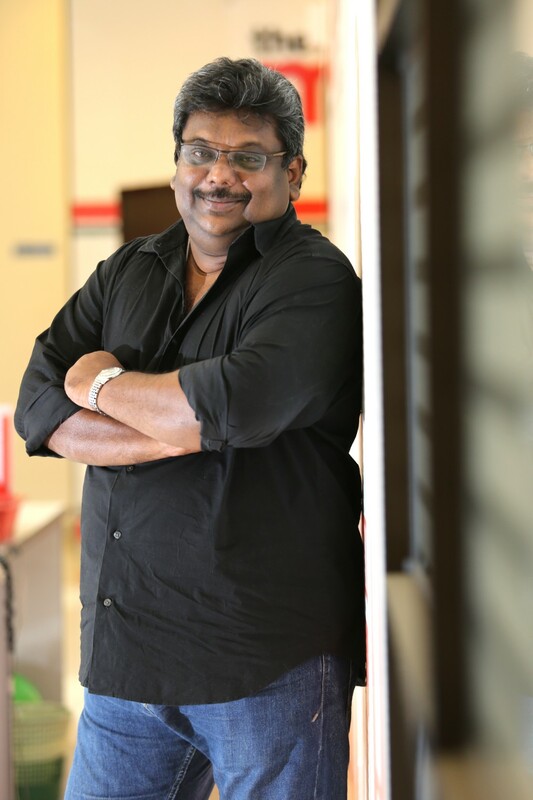 “I was helping out at the school sports meet mixing drinks, serving and carrying athletics equipment under my teacher Rasa Durai. “Towards the end of the meet when the 4 X400m relay was the highlight of the meet, Rasa Durai came looking for me, gave me a T-shirt, found me a pair of shorts and asked me to run for my Tagore House, as the regular runner M. Shanmuganathan had injured himself in an earlier race. “I really did not know what to in the relay race and Rasa Durai told me to run as the second runner and since the field was only 200m, was told to run two rounds and pass the baton to the next runner. Karu said after the race Rasa Durai told him to report to the schools’ sports secretary, Lee Hoo Kiat, who had watched him run and was impressed. Karu then went to take up hurdling also by chance. There was an American coach, Tom Rosandich, under a programme doing talent scouting and was looking for hurdlers. “This coach came to my school and asked for athletes interested in hurdling to join his coaching clinic. But there was only one or two boys and he looked at me and asked me if I was the one doing long jump. When I said yes, he asked me to join his hurdling clinic,” recalled Karu. “The next think I knew I was hurdling and was asked to run the 400 hurdles because the hurdles were lower and it suited me better. “The rest is history as I went on to improve and was representing the State before Malaya,” said Karu who had a personal best of 48.4 for the 400m and 52.7 for the 400m hurdles. 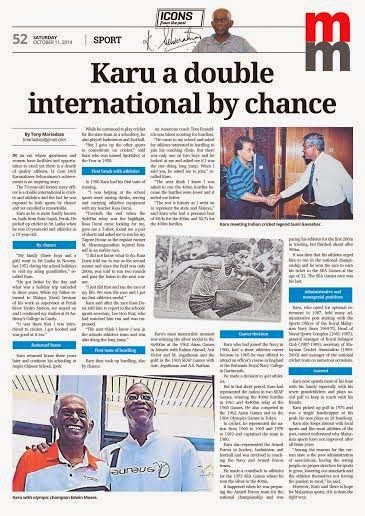 Karu’s most memorable moment was winning the silver medal in the 4 X 400m at the 1962 Asian Games in Jakarta with Rahim Ahmad, Asir Victor and M. Jegathesan and the gold in the 1965 Sea Games with Asir, Jegathesan and A.S. Nathan. Karu who had joined the Navy in 1960, had a short athletics career because in 1965 he was offered to attend an officer’s course in England at the Britannia Royal Navy College in Dartmouth. He made a career decision and quit athletics. But in that short period, Karu had represented the nation in two SEAP Games winning the 400m hurdles in 1961 and 4X 400 relay at the 1965 Games. He also competed in the 1962 Asian Games and in the 1964 Olympics Games in Tokyo. In cricket, he represented the nation from 1960 to 1965 and 1978 to 1982 and having captained the team in 1980. Karu had also represented the Armed Forces in hockey, badminton and football. Karu after his playing days was involved in coaching at the Navy and Armed Forces. He made a comeback to athletics for the 1973 Sea Games where he won the silver medal in 400m. It all happened when he was preparing the Armed Forces team for the national championship and was pacing his athletes for the first 200m in training, but when to finish the 400m ahead as the athletes never caught up with him. It was then than that his athletes urged him to run in the national championship and won the race too and earned his ticket to the Sea Games at the age of 32. That was his last race. He opted for optional retirement from the Navy in 1987. 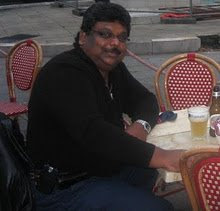 Karu has held many administrative post starting as the Sports Officer of the Royal Malaysian Navy from1969-70, Head of Naval Sports Complex (1981-1987), general manager of Royal Selangor Club (1987-1989), secretary of Malaysian Cricket Association (1989-2003) and manager of national cricket team on numerous occasions. Karu now spend most of his time with his family especially with his seven grandchildren and plays social golf to keep in touch with his friends. Golf was another sport, Karu picked up as early as 1976 and was a single handicapper at his peak. He now plays an 18 handicap. 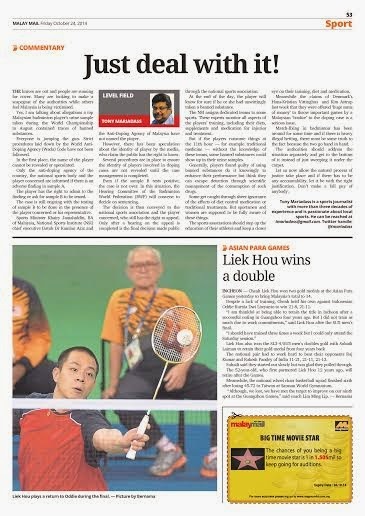 Karu also keeps abreast with local sports and like most of the athletes of the past, cannot understand why Malaysian sports have not improved after all these years when sports was already sailing high in the yesteryears. “With all the facilities, funding, exposure and expertise, it baffles me why Malaysian sports it at such a low ebb. However, Karu believes that there is hope for Malaysian sports, if it is done the right way professionally.